Itinerary -Day 1:INDIA-INNSBRUCK Arrive at Vienna International Airport and transfer to your Ho..
Itinerary -Day 1:INDIA-SALZBURGArrive at Vienna International Airport and transfer to your Hotel and..
Itinerary -Day 1:INDIA – VIENNA Arrive at Vienna International Airport and transfer to yo..
Itinerary -Day 1:India - Munich - Innsbruck Arrive munich international airport. After finishin..
Itinerary -Day 1:India - Vienna Arrive at vienna international airport and transfer to your hot..
Itinerary -Day 1:INDIA-PARISArrive Paris International Airport. Paris. 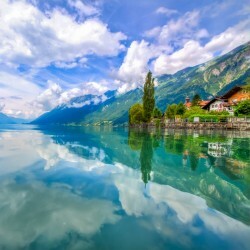 - The most romantic c..
Itinerary -Day 1:India - Zurich - Lucerne Arrive Zurich international airport and transfe..
Itinerary -Day 1:India - Zurich - Engelberg Arrive at Zurich international airport. Transfer yo..
Itinerary -Day 1:INDIA-PARISArrive at Paris International Airport, Paris - The most romantic city of..